We occasionally hear some misconceptions about East Penn and the School Board. Please allow us to set the record straight on these issues. 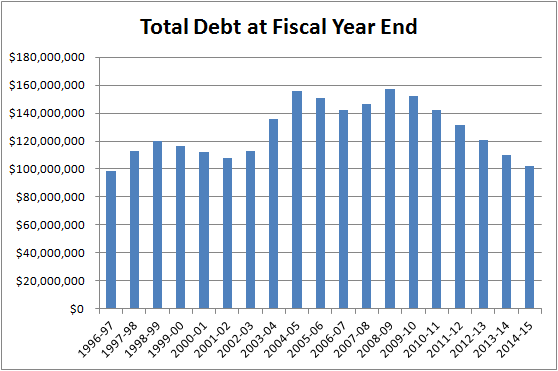 Myth: Just over a decade ago, East Penn's debt was less than $1 million. How did the district use that debt? Myth: East Penn spends too much money to educate our students. Myth: East Penn property taxes are too high. Fact: East Penn's property tax rate is the fourth highest of the nine Lehigh County school districts. Although slightly above the average for the county, our results are well above average, both in the Lehigh Valley and across the Commonwealth. Myth: Our property taxes go up every year. Fact: Since the 2001-02 school year, three budgets have had no tax increase. In addition, the board eliminated the regressive per capita tax ($5 per adult living in the school district) and implemented the Senior Citizens Tax Rebate in 2002. The Tax Rebate program returned $145,861 in 2014 to low income senior citizens. Last year, seniors were eligible for a rebate of up to $650 from the district, in addition to the state rebate program. Between the two programs, there are many seniors each year who receive rebates of all of their school real estate taxes. Myth: Only 51¢ of every dollar is spent on direct education costs. Fact: Over 67¢ of every dollar is spent on instructional costs, including regular, special, and career and technical education. Myth: The Board is just a "rubber stamp" and gives the administration everything it asks for. Fact: The Board sets the direction for the school district, and the Superintendent proposes specific actions to implement that direction. Since these proposals fit the stated direction set by the Board, they are usually accepted with minimal debate or dissension. On occasion, the Superintendent may propose a program, initiative, or action that he thinks fits with the district's overall direction, even though the Board has not provided specific direction. When he does so, he makes both an education case and a business case for why the Board should approve his recommendation. We usually approve these proposals because the Superintendent is very well tuned in to the desires of the Board. That does not mean the approval is automatic or a foregone conclusion! We have had many vigorous discussions and debates, and we sometimes decide to have the Superintendent refine the proposal before having a final vote. Myth: The unions are in the driver's seat and get everything they ask for. Fact: Alan has been on the district team for negotiations with the teachers (three times); administrative assistants, instructional/staff assistants, and health room nurses (three times); the Teamsters (who represent the custodians), and the "Act 93" group (a pseudo-bargaining unit that represents many of our administrators) (five times). The negotiations sessions are usually cordial and respectful, but they can get tense, and we have occasionally relied on a state mediator to help us overcome sticking points. The unions never get everything they ask for; neither does the district. We eventually reach a compromise that both sides can agree to—that's the way all negotiations are supposed to work! Myth: When he was board president, Alan Earnshaw accepted an award from the teachers union. 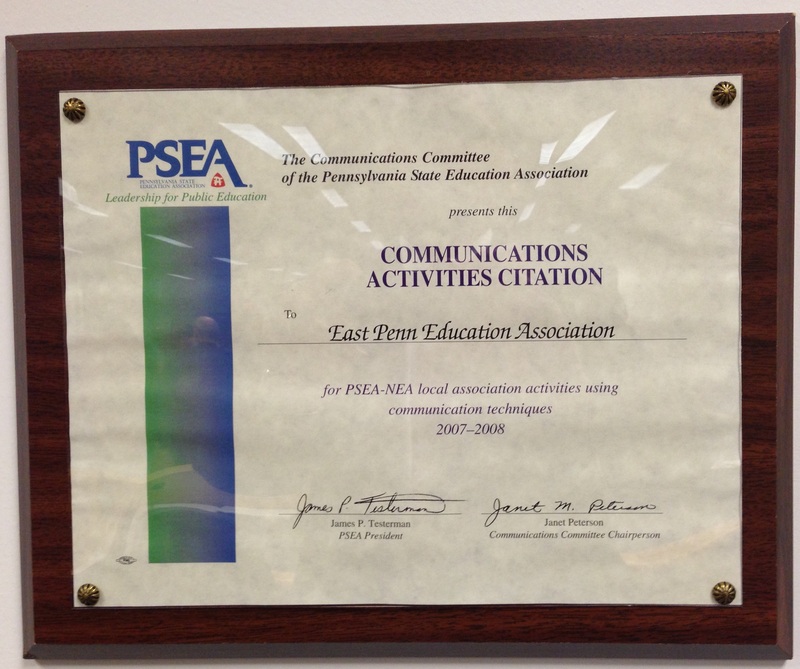 Fact: The East Penn Education Association (our teachers union) received a citation for communications activities from the Pennsylvania State Education Association. They presented the citation to the board so it could be hung in the board room to recognize the accomplishments of our faculty. A photograph of the citation is available here: PSEA Award [1.3 MB]. Our faculty and staff have received many awards and recognitions, and several plaques and citations have been hung in the board room. If you have a few moments before or after a board meeting, I encourage you to take a look. This web site contains the personal opinions of Alan Earnshaw, not the official positions of the East Penn School Board or the East Penn School District.